IDF foils planned rock and firebomb attack, confiscates weapons, terror money, arrests 17 wanted terror suspects. IDF soldiers from the Judea Brigade foiled a planned roadside ambush by a group of Arab terrorists south of Jerusalem. The soldiers noticed several Palestinian Authority Arabs approaching Route 60 with the intention of throwing rocks and a firebomb at Israeli cars making their way to the capital. IDF forces on the scene managed to apprehend one of the suspects. 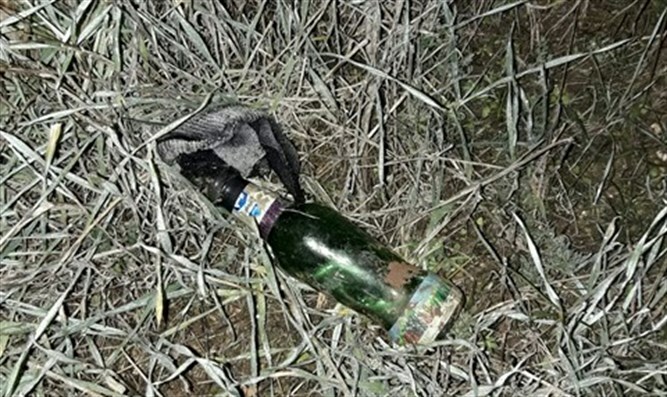 According to an IDF spokesman, a firebomb was also found at the scene. In Hevron, IDF forces seraching for terror money confiscated a vehicle believed to have been purchased with money provided by a terrorist organization. Searching in the Etzion region south of Jerusalem for illegal weapons, the Etzion Brigade and Israel Police found three firearms and ammunition. IDF, Shabak (Israel Security Agency), Border Police, and Israel Police units arrested seventeen wanted terror suspects in Judea and Samaria. All of those arrested are suspected of terror activities, disturbing the peace, lone wolf terror attacks, and violence towards civilians and security personnel. They have been transferred for interrogation.